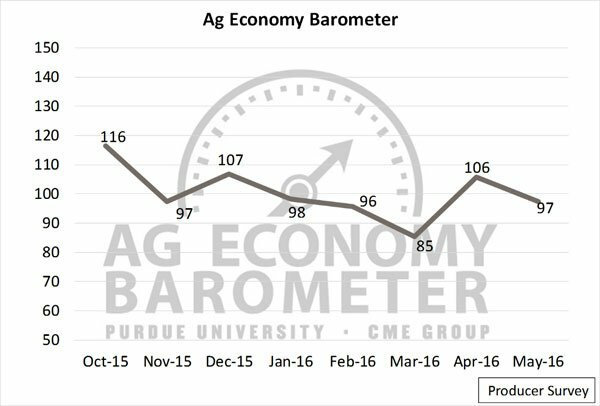 After a surge in economic sentiment in April, agricultural producers said they were slightly less optimistic in May, according to the latest survey results from the Purdue/CME Group Ag Economy Barometer. At a value of 97, the May Producer Sentiment Index was nine points lower than in April, bringing it back in line with January (98) and February (96). The index is based on a monthly survey of 400 agricultural producers. Survey responses showed that the shift came from producer feelings about current conditions rather than future expectations. 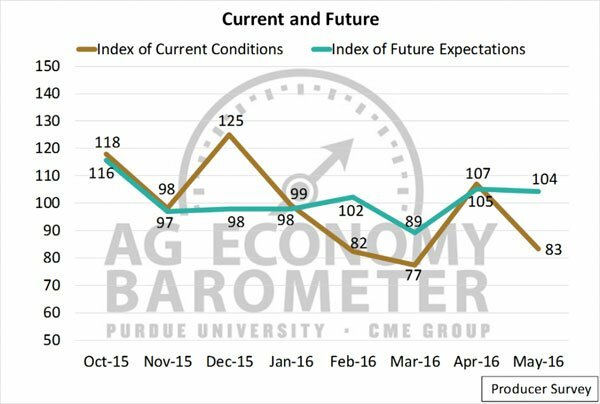 The Index of Current Conditions fell from 107 in April to 83 in May, while the Index of Future Expectations fell just one point, from 105 to 104. Increased pessimism is likely due in part to falling livestock prices, according to Jim Mintert, director of Purdue’s Center for Commercial Agriculture, professor of agricultural economics and principal investigator for the barometer. "Some of the decline in producer sentiment in May can likely be attributed to changing perceptions about the livestock sector," he said. "In May, just 36% of producers surveyed expected widespread good times for livestock producers over the next five years, which is a substantial drop from the 46% in April who expected good times for livestock production." One explanation for the drop is price declines in feeder and live cattle. June live-cattle futures traded above $130 per hundredweight as recently as March. By mid-April, those prices fell to $122, and in early May they hit $115. 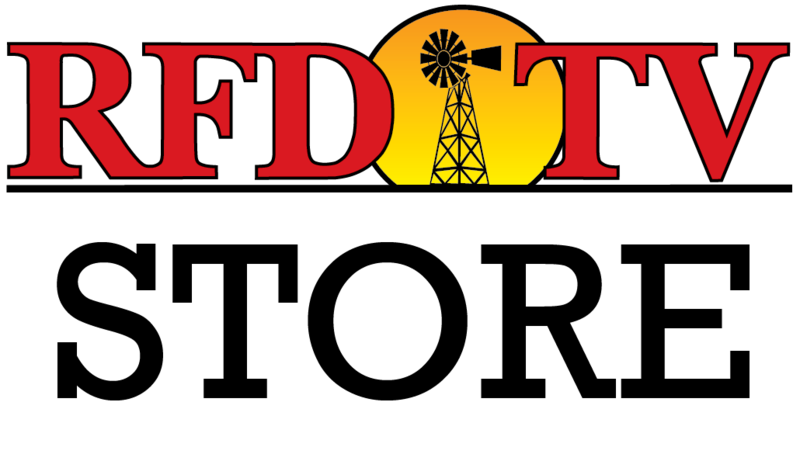 Feeder cattle futures followed suit, which Mintert said diminished profit prospects for both cattle feeders and cow-calf producers. In contrast, crop sector sentiment exhibited a modest decline from April to May. "In short, the sentiment regarding the future for livestock producers, which had been strong, showed signs of eroding relative to expectations about the future for crop producers," Mintert said. In the May survey, producers also were asked about their expectations for farmland values. This same question was also part of the surveys in November, February and March, which gave researchers a look at expectations over time. The percentage of producers who expect farmland prices to increase in the next year has been small but fairly stable since November, consistently landing in a range from 13% to 15%. The percentage of producers expecting farmland prices to fall in the next year has fluctuated more. In November and March, 46% of producers surveyed expected farmland values to fall. Respondents were less pessimistic in May, when just 33% said they expected a decline. "The reduction in pessimism regarding near-term farmland prices is likely driven by the improvement in crop prices the last couple of months," he said. "A majority of producers also still see farmland as a favorable long-term investment." When asked to evaluate farmland as an investment, 52% of producers surveyed rated it positively and about 25% gave it a neutral rating. Only 23% said they thought farmland was a poor investment. Finally, producers were asked about farmer profitability over the next year. Only 10% reported that they expect profitability to improve. To read the full May report, access additional resources, including webinar archives and schedules, and sign up to receive monthly barometer email updates, visit http://purdue.edu/agbarometer.